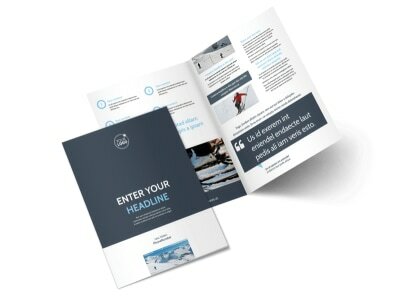 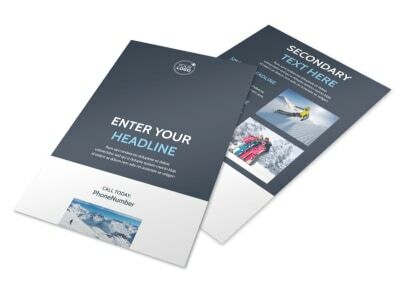 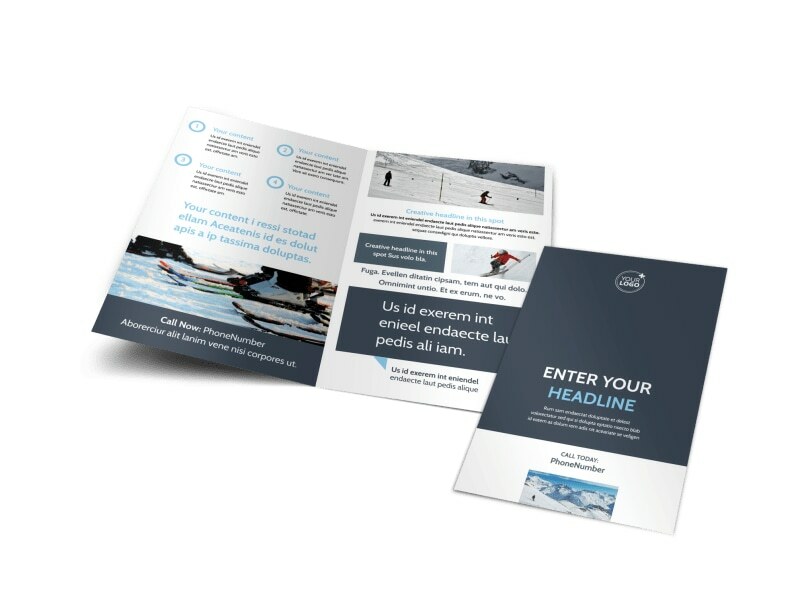 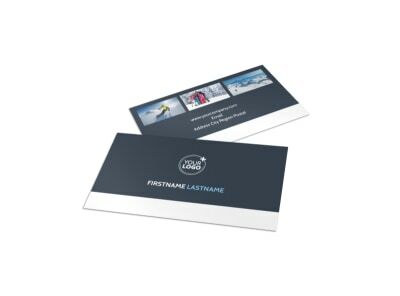 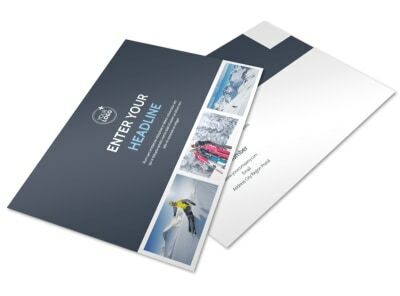 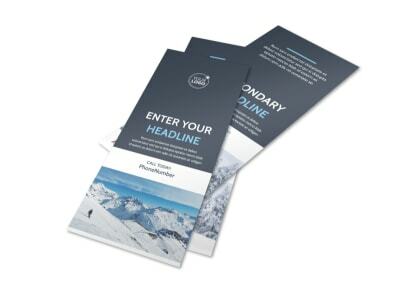 Customize our Ski Instructor Brochure Template and more! 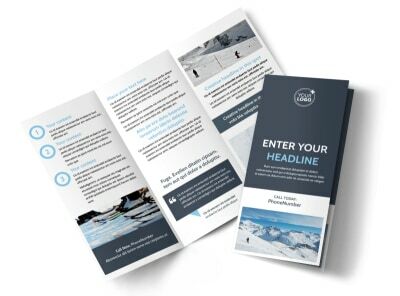 Let would-be skiers know that you’re available for lessons with ski instructor brochures customized using our online editor and templates. 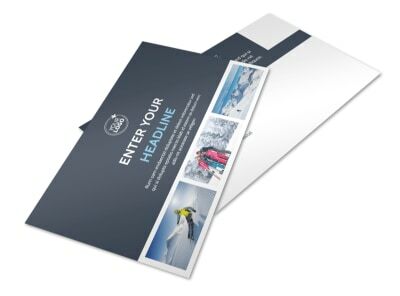 Choose a bifold or trifold design along with the size template of your preference, then customize it further with fun images highlighting the adventures that lessons with you will entail. Start designing your informative brochure today.